Many model forms describe the underlying impact of features relative to each other. 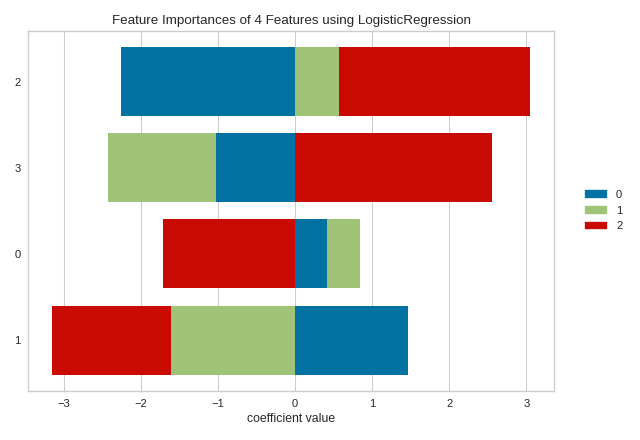 In scikit-learn, Decision Tree models and ensembles of trees such as Random Forest, Gradient Boosting, and Ada Boost provide a feature_importances_ attribute when fitted. The Yellowbrick FeatureImportances visualizer utilizes this attribute to rank and plot relative importances. Let’s start with an example; first load a classification dataset. Then we can create a new figure (this is optional, if an Axes isn’t specified, Yellowbrick will use the current figure or create one). 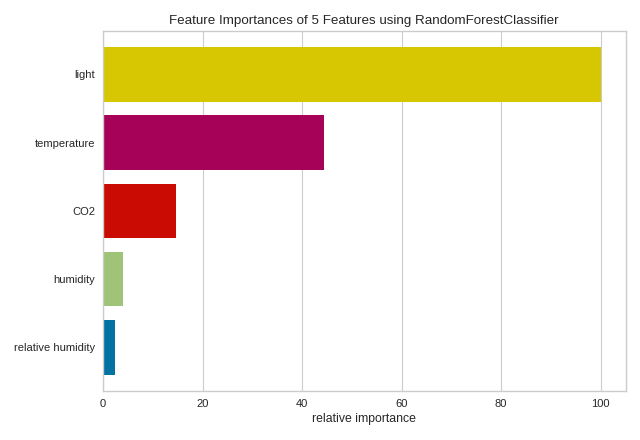 We can then fit a FeatureImportances visualizer with a GradientBoostingClassifier to visualize the ranked features. 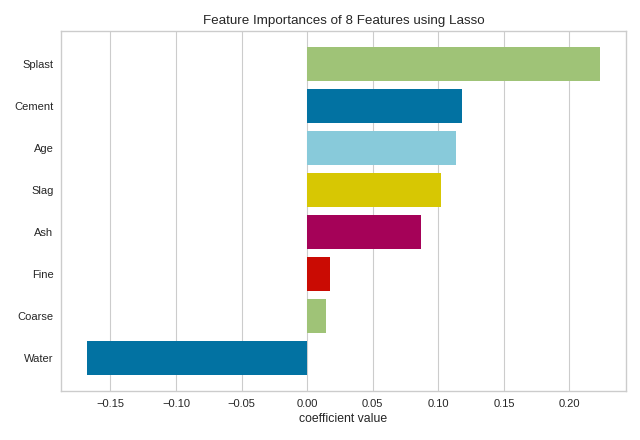 For models that do not support a feature_importances_ attribute, the FeatureImportances visualizer will also draw a bar plot for the coef_ attribute that many linear models provide. Some estimators return a multi-dimensonal array for either feature_importances_ or coef_ attributes. For example the LogisticRegression classifier returns a coef_ array in the shape of (n_classes, n_features) in the multiclass case. These coefficients map the importance of the feature to the prediction of the probability of a specific class. Although the interpretation of multi-dimensional feature importances depends on the specific estimator and model family, the data is treated the same in the FeatureImportances visualizer – namely the importances are averaged.